For parenting reasons that deny all logical explanation, both M and I led extremely sheltered lives as children. We were brought up in families where outdoor pursuits were actively discouraged in favour of academic excellence. Unbeknown to us, both of us harboured a sense of adventure deep within our geeky bosoms. This innate, dormant personality trait manifested in the form of a love of rambling at the first available opportunity. Thus began our love affair with The Lake District (Lakeland, The Lakes). 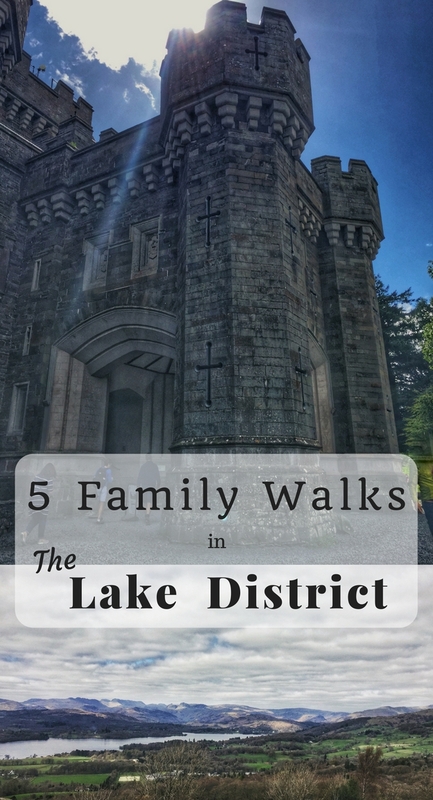 Nestled in the north-west and often referred to as the most beautiful corner of England, The Lakes have served as a back-drop for many a memorable family ramble. Despite our sometimes differing parenting styles, we concur on one important point. As parents, we need to lead by example when it comes to leading a well-balanced life. A life in which time spent as a family in outdoor pursuits is as cherished as that spent reading a book. Where gadgets, luxuries and popular trends have no place in defining our happy. A life in which we make time to connect with ourselves, each other and our surroundings. We find that we head back to The Lake District time and again to explore and to unwind. Nothing beats a long, challenging walk along spectacularly scenic routes to recharge your batteries. 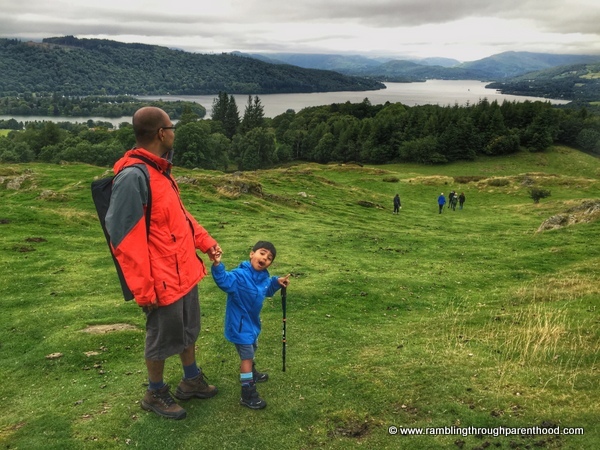 Here are five of our favourite family walks in The Lake District around Lake Windermere. They are moderate grade rambles for the entire family, and should be okay to undertake for anyone with average levels of fitness. 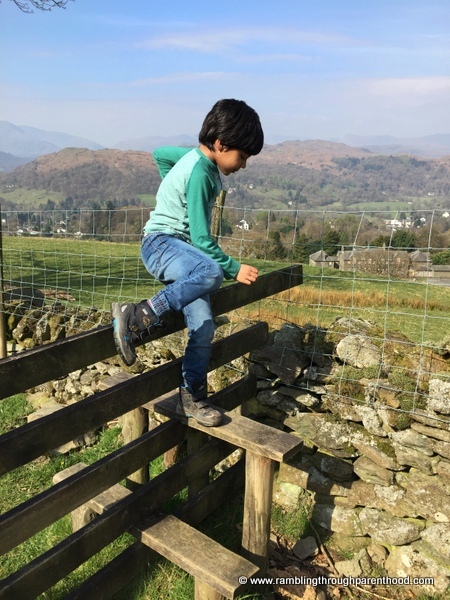 A popular climb that takes you 1800 feet above the village of Ambleside to breathtaking views across Lake Windermere, this walk is strenuous but well laid out. You can stop to admire Stockghyll Force on the way, or start and finish in the Bluebell Woods, thus avoiding roads altogether. 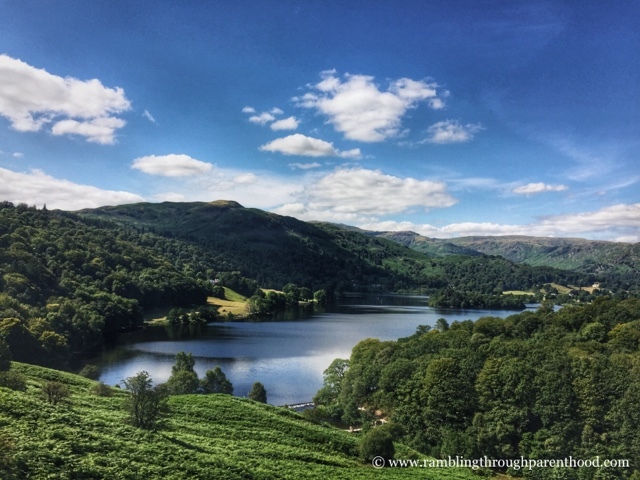 A long, gentle and exciting walk that takes you through the village of Ambleside beyond the north end of Lake Windermere to the charming village of Grasmere. The route climbs to Rydal Cave, a 19th century slate quarry site, before skirting Rydal Water. Carry on walking, and you will be faced with a choice. To climb up to Loughrigg Fell, walk along Loughrigg Terrace or take the low-lying path to Grasmere. Whichever path you choose, you will be rewarded with gorgeous views over Grasmere and delicious gingerbread in the village. Another gentle, long walk that meanders along the western shore of Lake Windermere. 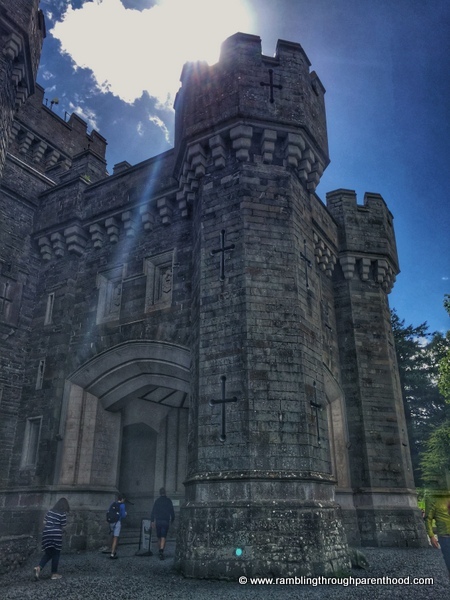 You can picnic along the way and visit Wray Castle on the northern end of this walk, before taking a boat back to Brockhole or Waterhead on the eastern shore. If you are looking for maximum results with minimum effort, this is the walk for you. 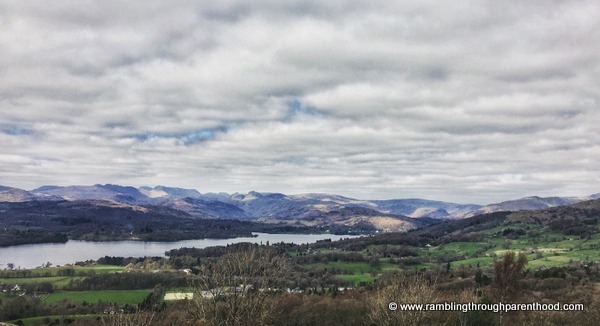 This involves a short, at times steep climb to the Orrest Head viewpoint, with stunning views over Lake Windermere. The walk starts opposite the Windermere Tourist Information Centre and is sign-posted, making it easy to find. A pleasant, sometimes steep and muddy walk that takes you nearly 450 feet above the little town of Bowness-on-Windermere. You can always finish this walk with a stroll back through the town or a visit to the Beatrice Potter and Peter Rabbit Museum. 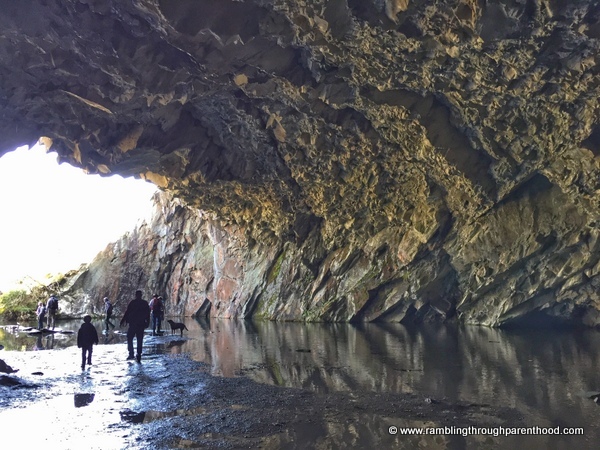 These are five of our favourite family walks in The Lake District. Do you have a favourite? Which would you choose?